Home News & Opinion Arts & Events What connects John Malkovich, Julian Sands, and Harold Pinter? 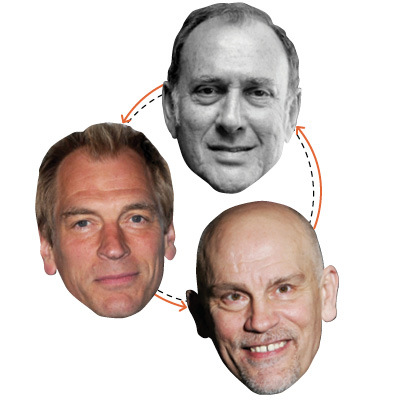 What connects John Malkovich, Julian Sands, and Harold Pinter? Some of us associate actor Julian Sands with period films like A Room with a View, while others may think of his more recent horror film oeuvre. Here’s an association less likely but infinitely more fascinating: Sands was a friend of the late playwright Harold Pinter and has captured his spirit in a one-man show that comes to Emory in September. Pinter, a Nobel laureate famous for marital dramas such as Betrayal, also wrote poetry and was well-known for his political activism. In another twist of celebrity friendship, the show is directed by John Malkovich, Sands’s The Killing Fields costar. This article originally appeared in our September 2014 issue.